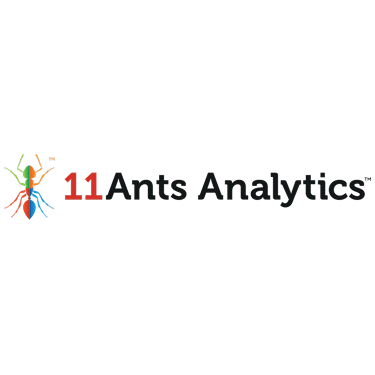 11Ants Analytics specializes in customer analytics solutions for retailers, airlines and other brands worldwide. The New Zealand-based company is known for flagship products 11Ants Retail Insights Cloud and 11Ants Airline Insights Cloud. 11Ants Airline Insights Cloud is a cloud based customer science platform which delivers all of the benefits of retail style customer analytics to the airline industry. 11Ants Airline Insights Cloud transforms data into actionable stories about customers, flights, routes, ancillary products, promotions, frequent flier program, and sales channels. 11Ants Retail Insights Cloud is a cloud-based customer science platform which drives retail growth in medium to large retailers. 11Ants Retail Insights Cloud begins with the assumption that there is a huge amount of unrealized value in the transactional data you collect and store. 11Ants Retail Insights Cloud transforms this data into actionable stories about your customers, products, promotions and stores – transforming the way you can make and review decisions.